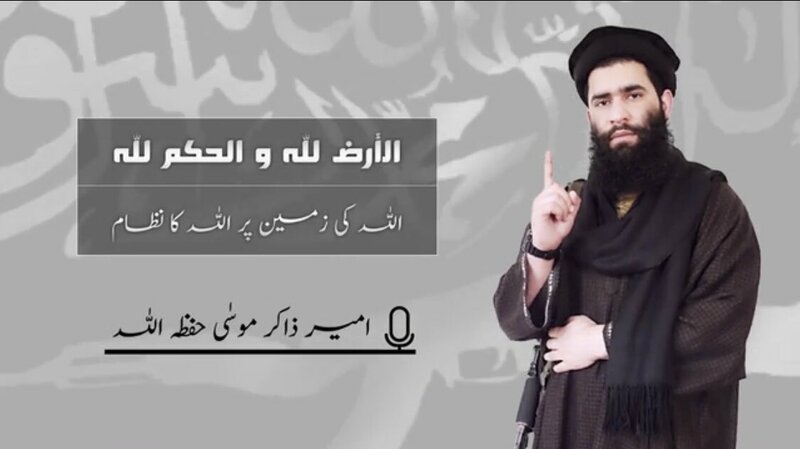 A new audio recently appeared on Twitter released by Al-Hurr Media the official media channel of Al Qaeda -Linked Ansar Gazwat-ul-Hind in Kashmir and alleged to be the ‘latest message from Emir Zakir Musa’, (age 25) entitled “Allah’s system on Allah’s land”. Musa symbolizes a new generation of Islamist terrorists operating in Indian Kashmir. This new generation appears far more radical in their views of violent Islamism and are actively utilizing social media to profess their views. Their members are slightly more educated than their predecessors. Born as Zakir Rashid Musa in the Tral area of Palwama district in 1990, Musa is a son of an Indian government civil servant. Musa studied engineering at Chandigarh College in Punjab province, but dropped out in his third year and joined Hizb ul Mujahedeen (HuM) in 2013 (HuffingtonPost.in, December 16, 2018). With HuM, he conducted terrorist attacks and engaged in other violent activities in the southern districts of Indian Kashmir. After the death of Burhan Wani, the young Emir of Hizb ul Mujahedeen, in an encounter with Indian security forces in 2016, Musa ascended to replace him. He soon left HuM to found AGH and declared his ambition to establish an Islamic Caliphate and state in Kashmir. He denounced both the Pakistani government and Hurriyat Conference (the political wing of the Indian Kashmir pro-independence parties). His anti-Hurriyat views were noticed when he threatened Kashmiri leaders for calling their struggle political, instead of Islamic. Our struggle is for implementation of Shariah. It is an Islamic struggle… I am warning them (Hurriyat leaders) not to play their politics. If they again try to become thorns in our path, the first thing we will do is behead you and hang you in Lal Chowk. We will leave the infidels and kill you first (Wire India, May 15, 2017). It would appear however that Munir Khan was wise in not wiping Zakir Musa totally from the picture of militancy in Kashmir at this present time. Zakir Musa begins his message by remembering Ansar Gazhwat-ul-Hind’s (AGH) Deputy Emir Rehan Khan and five other militants that were killed by Indian security forces in December, 2019. The he says AGH is ‘Free Jihad’ (by free jihad he means it’s not controlled by Pakistan/ISI). Zakir Musa says “AGH is preparing for the day it starts its operations, threatens India security forces. He says lot of conspiracies are going on against Kashmir jihad, both India and Pakistan are working to totally dismantle it under American guidance”. Imran Khan’s video message, inviting India for dialogue in February is played in Zakir Musa’s audio message. Zakir Musa then says Kashmir’s solution is only jihad, for Islamic rule. Pakistan, U.N and others can’t resolve it. No other solution is acceptable to Kashmiris”. Zakir Musa says “Taliban are epitomes of Kashmiri militants. He then talks about how Kashmiris should help militants, why candle-light marches, shutting down shops/businesses, shutdowns and other forms of protests are useless, and how only armed struggle is fruitful”. Zakir Musa then questions Pakistanis, says “You supported Kashmir jihad, sacrificed your life and money for it, what has changed now. Kashmiris are dying, and you are cleaning streets of Lahore/ Karachi, points out at LeT Chief Hafiz Saeed, who switched from jihad to politics”. Zakir Musa says “Jihadi leaders in Pakistan have hurt Kashmir jihad, they take breaks from jihad whenever they like, they shunned jihad in Kashmir in 2003, which hurt Kashmiri jihad very badly, to the extent that it totally vanished, and had to be re-started from the scratch”. What level of impact Zakir Musa and his followers will have on the security situation in the region in the coming months remains to be seen!